I´ve built this theme some time ago, just would like to share with someone else. This color scheme is not suit for PHP code, because the method name is set to black but as you can see, the background is dark. This theme works very well for Java. Maybe you should post a thumb image that shows some java code instead of php, since it´s the main Netbeans´s language. Good idea, but I’m a PHP developer, could you upload your screenshot? Awesome for php as well! Thank you. 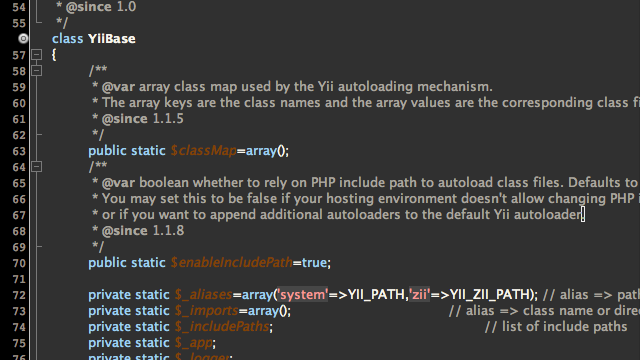 The screenshot here is of the PHP code. very beautiful for java ! Need update for NetBeans 7.4.